I really enjoy growing "green" beans...and purple and wax beans too. The only down side...they take forever and a day to pick. I was recently approached by a customer at a farmers' market who stated she really wanted fresh beans. Her: Were these picked today? Me: What?! 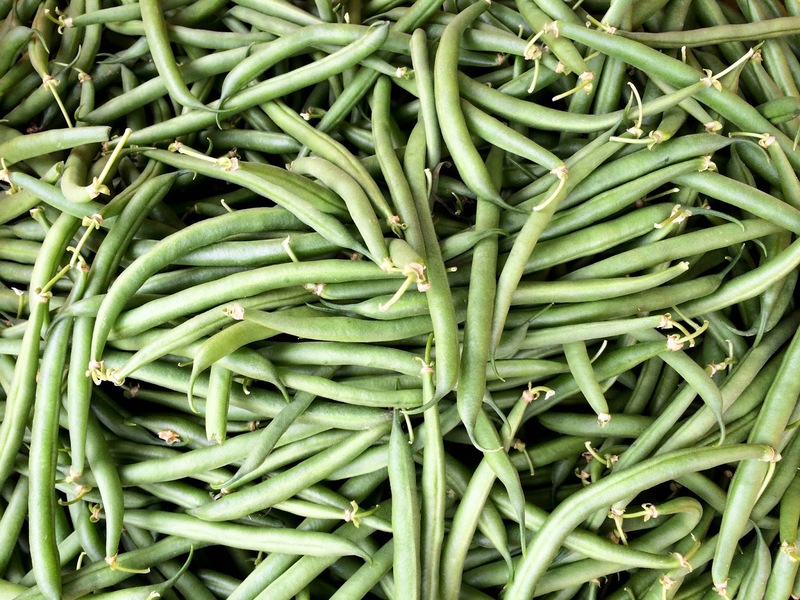 Do you know how long it takes to pick green beans? I would have had to wake up at 3 AM to get these picked and get to the market. I try to leave at 6:30 AM to get here and set up on time. So since they require a bit of labor I like them to last - I want left overs! This dish is as good warm as it is cold. 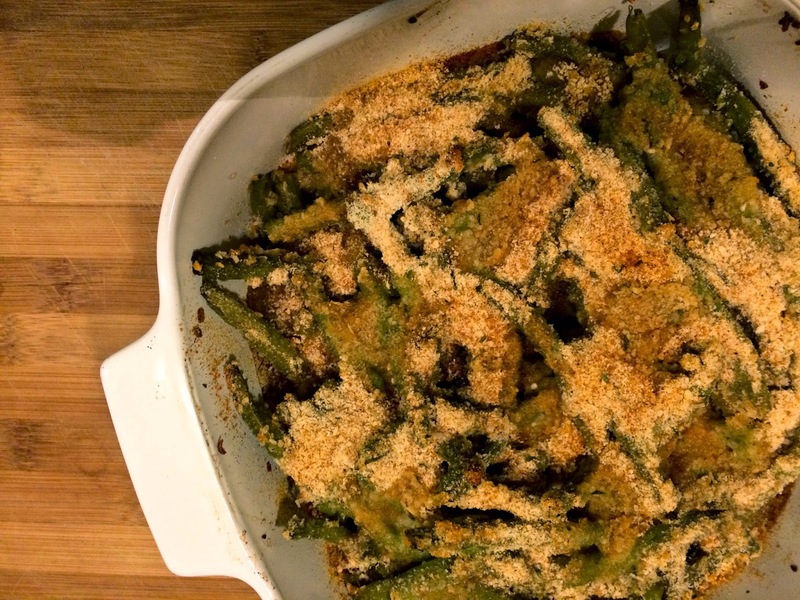 This is the green bean "casserole" I grew up on. We call it a casserole but it's really more of a bake type item. No mushroom cream soup in this dish. No sir. Steam your green beans until they are just tender. Toss with olive oil, vinegar, onion flakes, salt and pepper. Place in a baking dish. Sprinkle bread crumbs over top until beans are covered...just a nice coating...don't skimp and don't suffocate with crumbs. Sprinkle with paprika and dot with butter.